Now in my previous posts I mentioned that Dubai in the December holidays are so so so pricey. Goodies that I really really wanted I purchased in stores but Dubai is known for their Souqs. 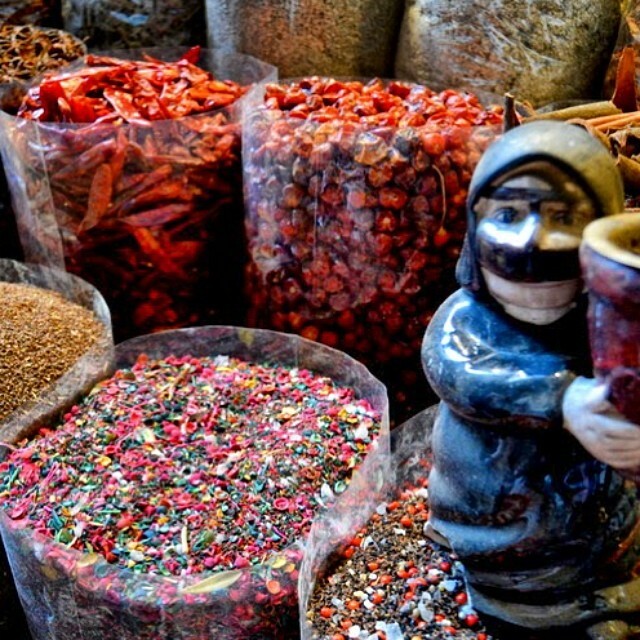 A Souq is basically a market or place where any kind of goods are bought or exchanged. The stores are obviously more pricer whereas the Souqs are super affordable. 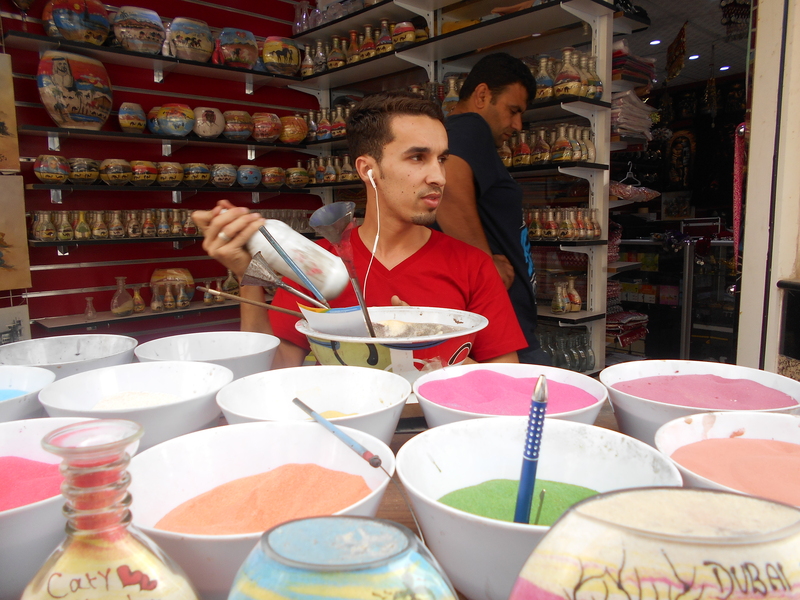 In the Souqs you can bargain with the Sheiks and if you enter with a huge smile on your dial, a foreign accent and mistaken for a Turkish girl, you’re good to go. The Souqs that I visited were situated close to Dubai Creek in the Al Ras area. 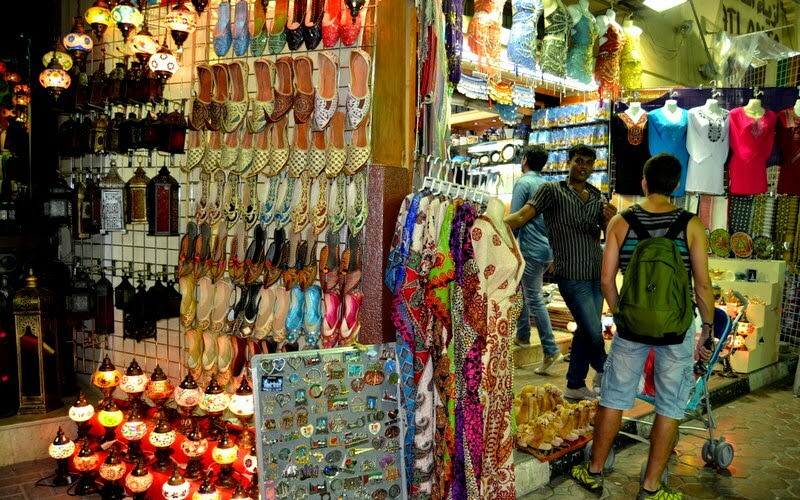 If you ever do visit the UAE, you’ll find different souqs scattered all over the city. Walking through the souqs you definitely have to make sure that you come with comfy shoes because there’s a lot to be seen and BUY. When you enter there’s this awesome vibe, I can’t really describe it but it reminds me of the Old Biscuit Mill on a Sunday… But on steroids. I came across this super talented guy that does sand art. I’ve never ever seen something like this and there’s no faking it because he does it right in front of you. All the art work in the background is done with sand! Sand I tell you, sand! He uses a variety of different colours, throws a lil of this colour and then a lil of that colour and a few minutes later a glass bottle with a camel or whichever picture you want inside is formed. 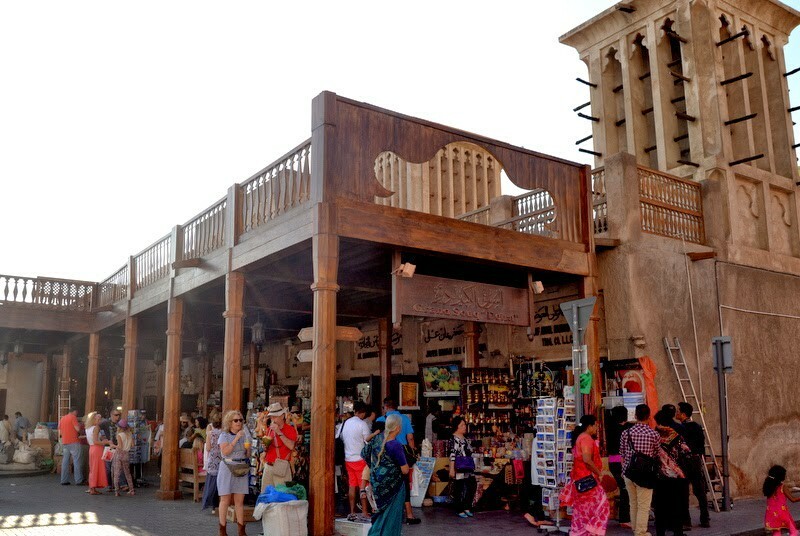 The second souq I entered was the spice souq. This souq would’ve been right up my mom’s ally. Here I saw, sniffed and sneezed spices I’ve never heard of in my entire life. This was the real deal. No floured down version of Mother inlaw spice. The prices were so affordable, buying in bulk wouldn’t be a problem. The spices were in their rawest form so you know that you’re getting the good stuff. Onto the Gold Souq I went where I literally gasped at the stunning-ness that is every jewellery piece you could think of. 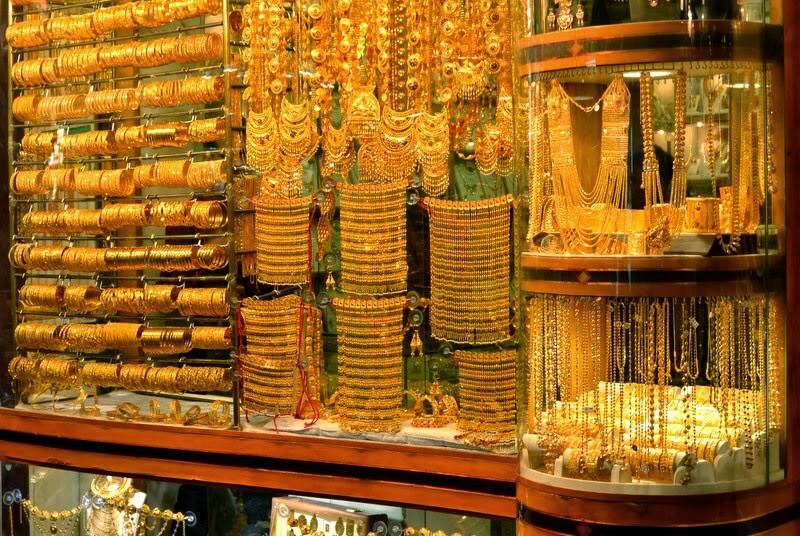 This souq is honestly every jewellery loving girl’s dream. The amount of constrain that I was practicing is so noteworthy or else I would without a doubt have bought everything and left Dubai with nothing but jewellery. *Pats myself on the back*. Then there’s the Textile Souq where my inner designer went crazy. The meters of fabric that I ran my hand across is accountable. I know so many girls would purchase wedding dress fabric there if they could. Maybe they do? And this is the place where I bought my beautiful Islamic scarves, robes and all that other goodies that Hijabi dreams are made of. 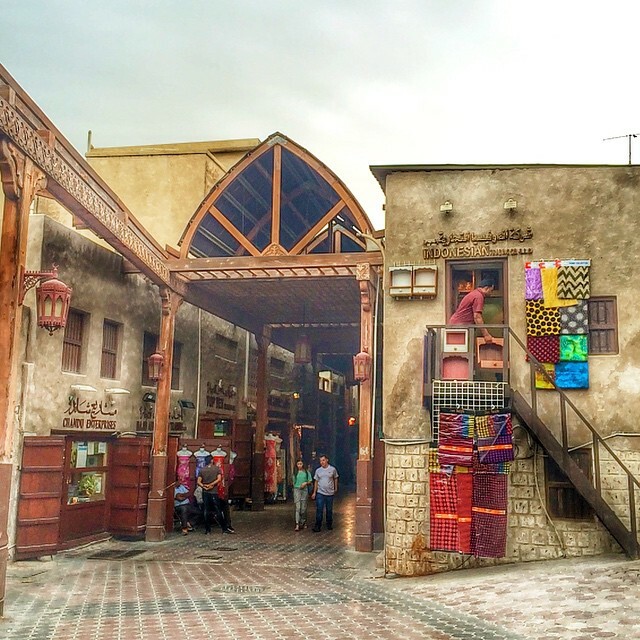 I could go on and on about all the different souqs but I best believe that its a place that you should get lost in (literally and figuratively) yourself, if you do plan to visit because then you’ll really get to experience the Emirati culture yourself. After about a few hours of souq wanderings, my feet gave up and the crowd started increasing. That’s when I my purse decided that I had enough for one day. I will be back! Tags: Abu Dhabi, Blogger, Dubai, Emirati, Gold Souq, Shopping, Souq, Spice Souq, Textile Souq, Travel, UAE, United Arab Emirates. Bookmark the permalink. I HAVE to go there!!! This is such a unique take on Dubai. Don’t think I’ve seen anything like this written about the place!